"Kivikontie" (4535) bus stop will be opened on Kivikontie on Friday 4 November. 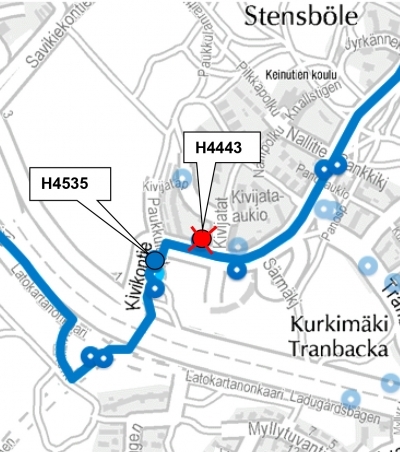 At the same time, the "Kivijatatie" bus stop (4443) will be closed. The stops are served by routes 57 and 94B.